Medical floor mats help keep a healthcare facility clean and sterile. Antimicrobial medical matting solutions contain a sterilizing agent that kills and inhibits the growth of gram positive and gram negative bacteria and fungus, thereby ensuring a microbe- or germfree medical environment,. Medical floor mats are also slip resistant and anti-fatigue mats, which ensures workplace safety and workforce comfort respectively. Medical floor mats come with all the requisite specialized features, such as being antimicrobial, antibacterial, and chemical resistant. Medical flooring solutions usually double as anti-slip floor mats because they also offer traction and hence provide floor safety in the workplace. These mats also provide ergonomic benefits to all medical personnel who stand too long while performing their duties. The medical mats have specialized gel that contours to feet to relieve fatigue and a foam layer to further reduce discomfort to neck, back, legs, knees and feet. These surgical mats boast both anti-microbial and anti-bacterial properties for use in labs as well as surgical and operating rooms. These mats provides the necessary friction to maintain traction while wearing both damp and dry surgical booties. The price ranges of the medical floor mats are from US$ 110 for 18” x 24” to US$ 210 for 20” x 48”. Increasing number of surgical incidence is one of the key factor which demands for medical floor mats in hospitals, surgical centers, and in emergency rooms. Availability in various sizes, and different material types are the other major propelling factors which are boosting the demand of medical floor mats, worldwide. However, unawareness in under developing countries and less geographical presence are the major hindering factor which is restricting the market to grow. Tentatively, the global Medical floor mats market has been segmented on the basis of treatment, indication, distribution channel, and geography. The global market for medical floor mats is expected to witness moderate growth over the forecast period.. Among four different types of medical mats, Anti-Microbial Floor Mats type is expected to lead the global medical floor mats market over the forecast period of 2018-2028. In terms of material, foam and gel form of medical mats collectively hold significant share in market. Hospital as end user is expected to contribute highest share as high demand of medical floor mats are comes from hospital operating room. Emergency room to be the most growing market. Geographically, global medical floor mats market is classified into regions viz. North America, Latin America, Europe, Asia-Pacific excluding Japan (APEJ), Japan and the Middle East and Africa (MEA). North America is expected to be the leader in global medical floor mats market owing to high demand and increasing number of end users. The market in Asia Pacific excluding Japan is expected to grow at significant CAGR due to expansion of product offerings by key players, and increase in geographical reach in the this geography. Europe is expected to take second largest share in the global Medical floor mats market throughout the forecast period. Global market for medical floor mats is highly fragmented. 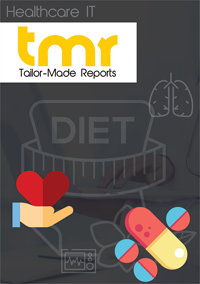 Some of the major players identified in the global medical floor mats market are Floormat.com a Progressive Company, Let's Gel, Inc., Aramark Uniform & Career Apparel, Medline, Cardinal Health, Zimmer Biomet, DeRoyal Industries, Inc., and 3M. Other players operating in this market are Allen Medical Systems Inc., Ansel Sandel Medical Solutions, Aspen Surgical Products, Edgewell Personal Care etc.